- The celesta (in the orchestra, Act 2 only) has to be played on a proper celesta, not a synthesizer, since only a real instrument can produce the sonority and beauty of sound required for the part. The piano is played off stage (Act 1 only). 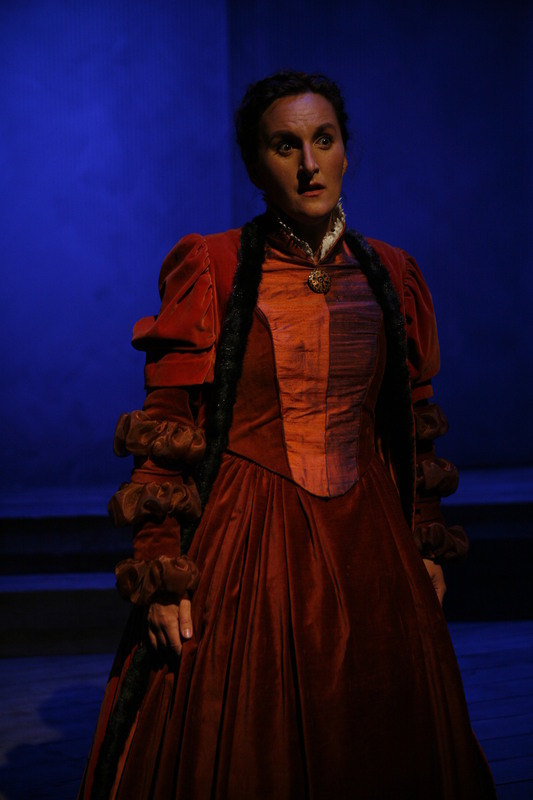 It should give the impression of being heard in the adjoining room, Algernon’s music room. - The string parts can be played either by six good soloists (one on each part), or by a string section, preferably: 8 (or 6) First Violins, 6 Second Violins, 3 First Violas, 3 Second Violas, 5 (or 4) Violoncellos, and 3 (or 2) Doublebasses. First Performance: 21 July, Vadstena Castle. Sebastian Durán (Jack), Hannes Öberg (Algernon), Nils Hübinette (Dr. Chasuble), Richard Hamrin (Lane & Merriman), Ingrid Tobiasson (Lady Bracknell), Francine Vis (Gwendolen), Vivianne Holmberg (Cecily), Emma Sventelius (Miss Prism). The orchestra of Vadstena-Akademien, B. Tommy Andersson (cond.). Directed by William Relton, set & costume designer: Marika Feinsilber, light designer: Anna Wemmert. First performance: 3 & 4 December 2010 at Norrlandsoperan, Umeå, Sweden. The orchestra of Norrlandsoperan, B. Tommy Andersson (cond.). Choreography, stage design and costumes: Pontus Lidberg. Light design: Patrik Bogårdh. Dancers: Gabrielle Lamb (USA), Oscar Salomonsson and Pontus Lidberg (Sweden), Adrian Danchig-Waring and Craig Hall (from New York City Ballet), Vu Van Nguyen and Cao Duc Toan (from Vietnam National Ballet Theatre). About the piece: The work is inspired by the legend about The Sacred Band of Thebes, a troup of 300 picked soldiers, which formed the elite force of the Theban army in the 4th century B.C. xxxThis Theban Band consisted of 150 male couples, because it was believed that lovers could fight more fiercely than strangers. The inspiration for its formation came from Plato’s Symposion. They were organized by commander Gorgidas in 378 B.C. and after several amazing victories, they were finally defeated and killed in the battle of Chaeronea in 338 B.C., where they, although surrounded, refused to surrender. In about 300 B.C. the town of Thebes erected a stone lion at the burial site of The Sacred Band, which was restored in the 20th century and still stands today. - The string parts can be played by five soloists or a small string section, but not more than 22 players (6.6.4.4.2). - The piano has to be an excellent grand piano with sonorous bass register, at least 200 cm long (for example a Steinway B-211). Under no circumstances an upright piano or a digital piano (stage piano). It is very important that the lowest octave has a clear and rich tone and can be played beautifully even in pianissimo. - Percussion instruments (one player): tubular bell in F, Glockenspiel, triangle (high pitch), tam (deep sound), side drum, Chinese tom (baritone register), 2 bongos (high pitches), wood-block, castanets (preferably Spanish castanets), cow bell, tambourine (suspended and played with hands), maracas, jingles (Schellen). First performance: 26 July 2006, Vadstena Castle (broadcast live by Sveriges Radio P2). 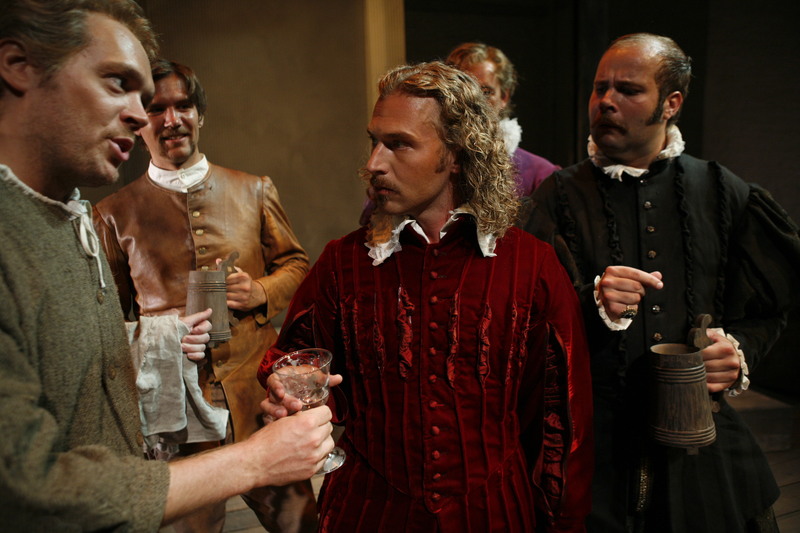 Anna Artursson (Anne Shakespeare), Karl Rombo (Peter/Police Officer 1/Ingram Frizer), Mattias Nilsson (William Shakespeare), Andreas Landin (Christopher Marlowe), Jakob Högström (Richard Baines), Daniel Hällström (Sheryngham/Sir Francis Walsingham), Andreas Lundmark (Gilbert Gifford/Police Officer 2/Robert Poley), Joakim Schuster (Evan Flud/Nicholas Skeres), The orchestra of Vadstena-Akademien, B. Tommy Andersson (cond.). Directed by Carl Kjellgren, costume designer: Ulrika Wedin, stage designer: Ilkka Isaksson, light designer: Mats Öhlin, make up designer: Katrin Wahlberg. The action takes place: Act I: a) Late Summer 1591 in Straford-upon-Avon, outside the house of Shakespeare. b) Some time later, in a special gentlemen’s club in Flushing (Vlissingen) in Holland. c) Later the same day, in Marlowe’s room in Flushing. Act II: A place close to the harbour of Deptford, outside London, 30 May 1593. Synopsis: This opera is a fantasy about William Shakespeare and about what could have happened during the so called ‘lost years’ in his life. It involves a love story between William and his contemporary Christopher Marlowe. xxxThe relationsship of William Shakespeare and his wife Anne has over the years become more of a friendship than a marriage. 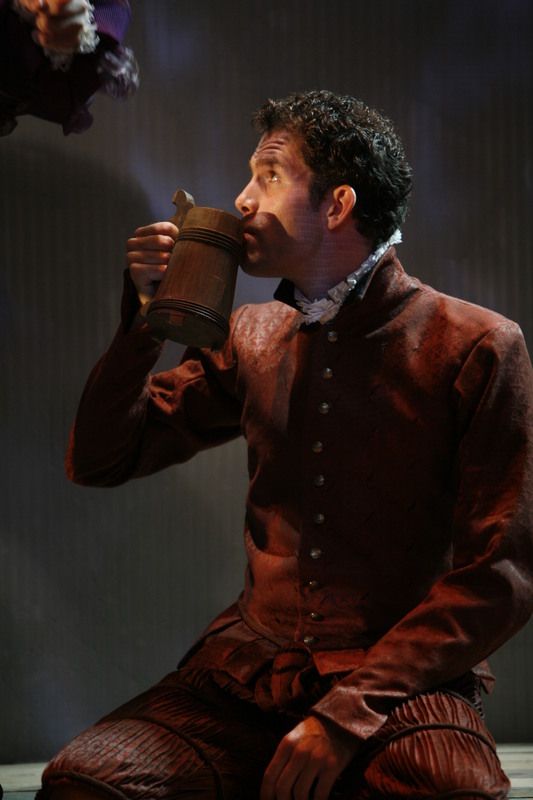 William wants to get away from Stratford-upon-Avon, he misses his friend Christopher Marlowe. He remembers how easy and free their relationship was, as they, a few years earlier, were members of the same theatre company. They had fantasies about new, bold plays, and a future together. William’s yearning brings him to Flushing (Vlissingen) in Holland, where Marlowe is posted as a spy for the Queen’s Secret Service. They soon discover that the feelings they have are more than a friendship and they fall in love. Right after their reunion, Marlowe gets accused of coining and becomes imprisoned. William travels back home alone. As time goes on, he pulls himself together, and starts writing on his own. 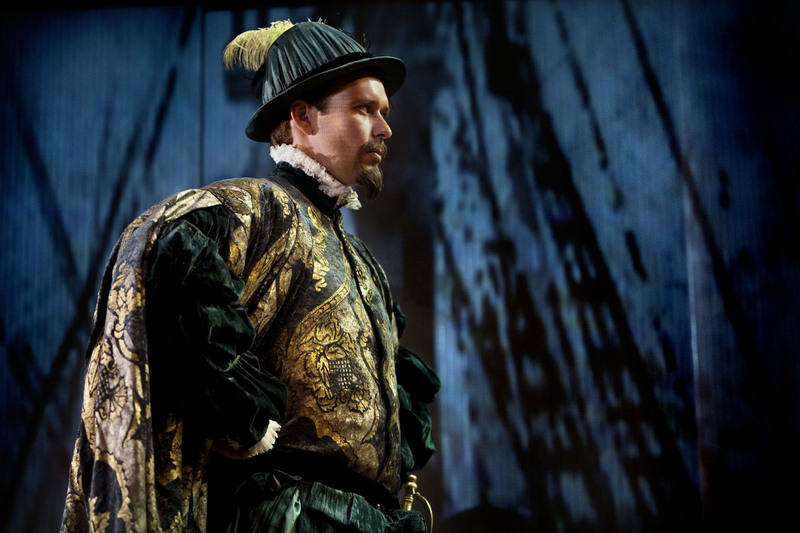 Soon William Shakespeare becomes a celebrate playwright, and his plays are performed in London. xxxEventually, Christopher Marlowe returns to London. He is tired of his turbulent life and he hopes that William still loves him. Through his missions in the Secret Service he has contracted powerful enemies. At their request, the adversary Richard Baines sets up a trap for Marlowe, who gets involved in a tavern brawl in Deptford which leads to his death. He dies in the arms of William, who happens to be around, and William promises to fulfill their ideas about future plays.